The attackers stormed the Catholic institution around 12am and shot into the air before kidnapping the victim from his quarters opposite the school. The Punch learnt that the lecturer, who is also a Catholic priest, lived in the same room with the school Chaplain, Fr. Aloysius Achonwa. A source explained that Achonwa hid in the roof to elude the gunmen. The Vice-Chancellor of Veritas University, Kwanashie, declined comment, saying he had been advised against issuing any statement for security reasons. 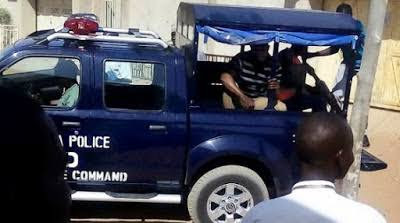 The Federal Capital Territory police spokesman, Anjuguri Manzah, promised to find out from the Bwari Police Division, but he subsequently failed to respond to calls and did not reply to a text message sent to him.